The airplanes may be pretty but it’s the engine that gets them in air. ANN CEO and Editor-In-Chief, Jim Campbell spent time at the U.S. Sport Aviation Expo 2014 to look at engine exhibits as well as the airplanes. 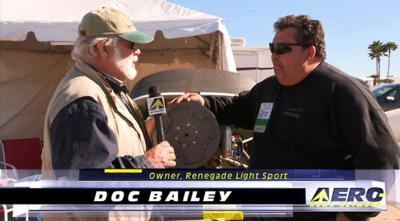 In this video Jim talks with Doc Bailey, the owner of Renegade Light Sport. The subject is the D-Motor. D-Motor is the new guy on the block. 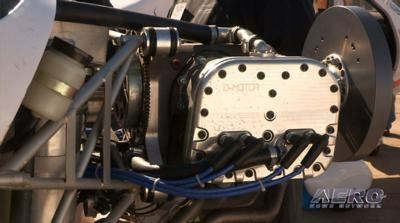 Bailey explains that at 124 pounds while delivering 95 hp direct drive to the propeller, the 4 cylinder D-Motor is the perfect choice for aircraft in the light sport class. 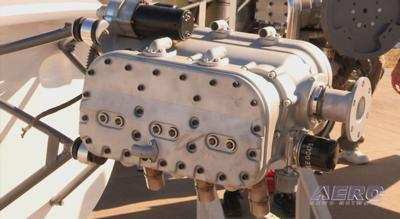 It’s an unusual looking engine because it is completely liquid cooled. It also has all the advantages of modern fuel injection and electronic ignition. It can be tuned-up with a computer. In this video you will see the four-cylinder and 130 hp six-cylinder versions of the engine. 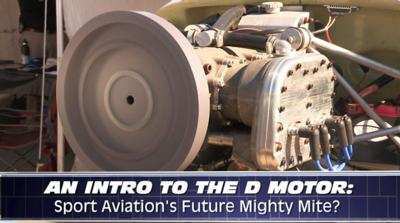 Built in Belgium and based on race car engine principles, the D-Motor is built from the ground-up as an airplane engine. 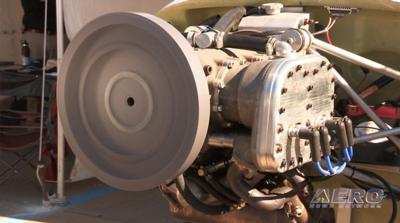 Bailey gives lots of technical details, and even if you’re not in the market to purchase an engine, this video is worth watching just to see what’s happening with modern aircraft engines. Aero-TV is a production of the Internationally syndicated Aero-News Network. Seen worldwide by hundreds of thousands of aviators and aviation adherents, Aero-TV has produced nearly 2000 aviation and feature programs, including several hundred episodes of our thrice-weekly aviation news program, AIRBORNE, hosted by Ashley Hale. Parent company, Aero-News Network, has the most aggressive and intensive editorial profile of any aviation news organization and has published nearly 200,000 news and feature stories since its inception -- having pioneered the online 24/7 aviation new-media model that so many have emulated. Copyright 2014, Aero-News Network, Inc., All Rights Reserved.